7-10 working days from approved artwrok. 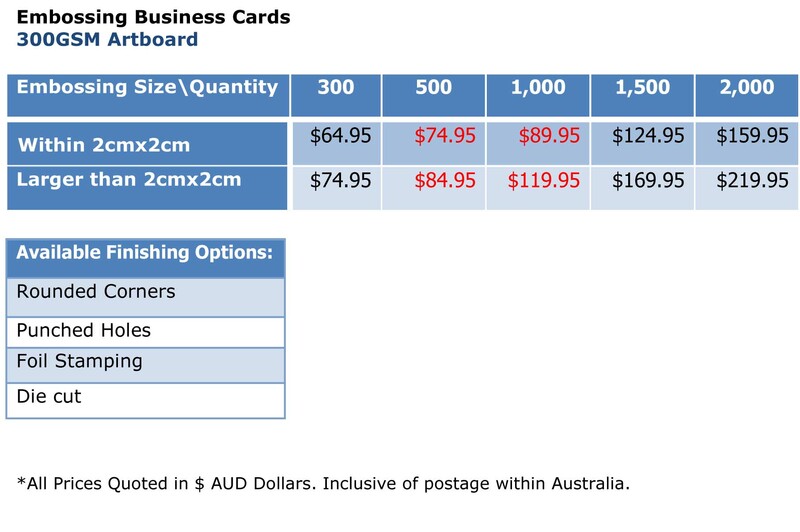 Additional options added to product may extend this time, Allow an extra 2-3 working days for an option. Embossed business cards, printed full color on 300gsm artboard, have a striking and bold 3- dimensional look & feel and are the executive and classy business card. The Embossed shape at one side looks sunk on the other side. 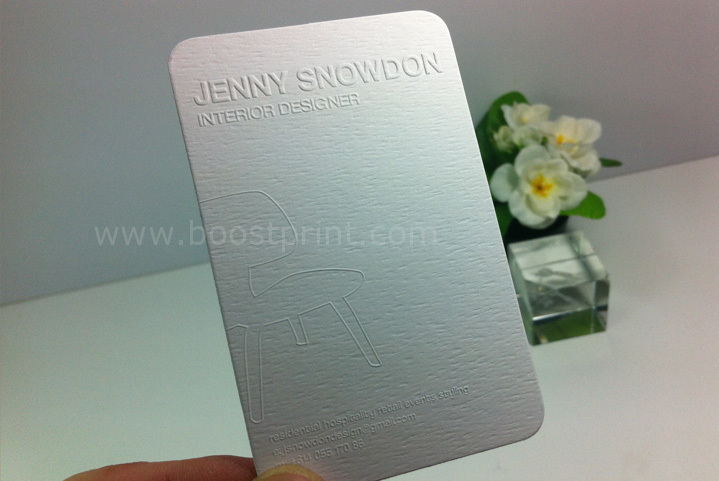 What is Embossing Business Cards? Embossing offers a unique look that stands out amongst the competition. To highlight your company name and logo for a strong first impression, just make it embossed！Create raised text or pattern and make your business cards feel simple and elegant. Where to Add Embossing to Your Card? The best place to add embossing to your business cards is the logo. Most logos are designed to be eye-catching, so embellishing them with embossing is a natural fit. You could also apply embossing to the company or contact details, which produces a pseudo raised-letter effect and is extremely cool looking.